How long should we continue to practice our forms, kata Taolu, Set? Many Sifu’s or senseis would simply answer: forever. Any form is an execution of preordained moves and blocks. Continued practice in and out of class is an excellent method of teaching a beginner how to kick, block and strike and reinforces these ideas in more seasoned students. The hours of practice you put into your forms will ensure that each movement becomes fluid and consistent. If you neglect your forms this will show when you try to move on to more advanced techniques. The most frequently cited justification of a form is as a mnemonic device. Forms serve as a living dictionary of fighting techniques and sequences. Repeating your forms daily ensures that you will not forget any of these movements. During forms, students perform elbows, punches, kicks, chops and other forms of attack. While critics say that many of the movements learned in katas will not be used in a combat situation, this is irrelevant. 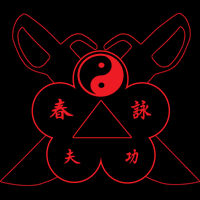 Each move has its own unique purpose and the martial artist has an increased arsenal at his disposal with each move suitable for a specific purpose. Forms are not just about individual techniques, but also how you put techniques together into sequences. By practicing forms you will become better at transitioning from one technique to another and develop a smooth flow in your fighting movements. Embedded with the forms are sophisticated movement principles that help to develop your fighting effectiveness. It is an interesting exercise to draw out individual principles from the movements within forms to examine them and understand them better. When you do this it will often take hours to fully explore the principles embedded within one short sequence. Practicing the form gives you an efficient way to be constantly reviewing and further developing these important movement principles without having to break down each individual part each time. At the Halesowen Wing Chun School, forms are an important part of the grading system. So, an important reason for you to practice your forms is to prepare for moving up at your next grading.